There are 61 million women of childbearing age (15–44) in the US. About 43 million of these women are at risk of unintended pregnancy; they are sexually active and do not want to become pregnant. About two-thirds of them use a contraceptive method correctly and consistently. Oral contraceptives have been in use for over 50 years and are one of the most popular contraceptives; this method is used by 26% of contraceptive users. Most oral contraceptives contain 2 hormones, an estrogen and a progestin (combined oral contraceptives; COCs). Progestin only pills (POPs) are also available. Certain other hormonal methods (vaginal ring, transdermal patch, injectables) are used by additional 7% of women.1 In the US, an increasing number of states allow pharmacists to provide contraceptives to women without a prescription; this will be the focus of this issue. About 14% of women at risk of unintended pregnancy are not using contraception (or have long gaps of non-use) and another 18% use contraception but do so inconsistently. Among women using a contraceptive consistently, only 5% experience an unintended pregnancy. In contrast, about 85% of sexually active women who do not use contraception become pregnant within 1 year. Increase the number of women at risk of unintended pregnancy who use contraceptives. Reduce the proportion of women who experience pregnancy despite use of a reversible contraceptive method. Reduce pregnancies among adolescent women aged 15-19 years. Increase the percentage of women aged 15 to 44 years who adopt or continue use of effective methods of contraception. These Healthy People 2020 family planning objectives can be addressed by pharmacists who provide counseling – and also by pharmacists in the states of California, Oregon, Tennessee, and Washington who prescribe hormonal contraceptives. Increased access to contraceptives may lower the number of unintended pregnancies. An additional benefit is a reduction in abortions. Compare and contrast the methods of hormonal contraception provided in a pharmacy; review their pharmacology and relative effectiveness. Identify the most common side effects related to the estrogen and progestin components of hormonal contraceptives. 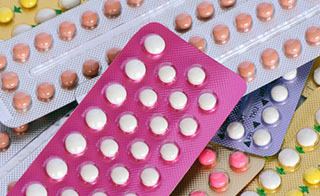 Discuss the more serious risks associated with the use of estrogen-containing contraceptives. Counsel patients about their choice of hormonal contraceptive method, including the noncontraceptive benefits. Provide instructions to a woman who has missed one or more of her contraceptive doses. Apply the CDC Medical Eligibility Criteria to determine whether a woman is a candidate for hormonal contraceptives. Outline the CDC’s recommended steps that a clinician should follow when providing contraceptives. Leslie A. Shimp, Pharm.D., M.S. Disclosure : Dr. Shimp reports no financial or personal relationship with any commercial interest producing, marketing, reselling, or distributing a product or service that appears in this issue.